Meet Giggles. Despite what you may think, his nick name isn't ironic in the least. Because "giggles" are genuinely what he lives for! This passionate clown is devoted to bringing joy to children of all ages, everywhere he goes. Can't you just tell by that sincere smile and the focused, engaged look in his eyes? Fresh out of the insane asylum... we mean clown college... Giggles just needs someone to give him a chance, and maybe a little work. 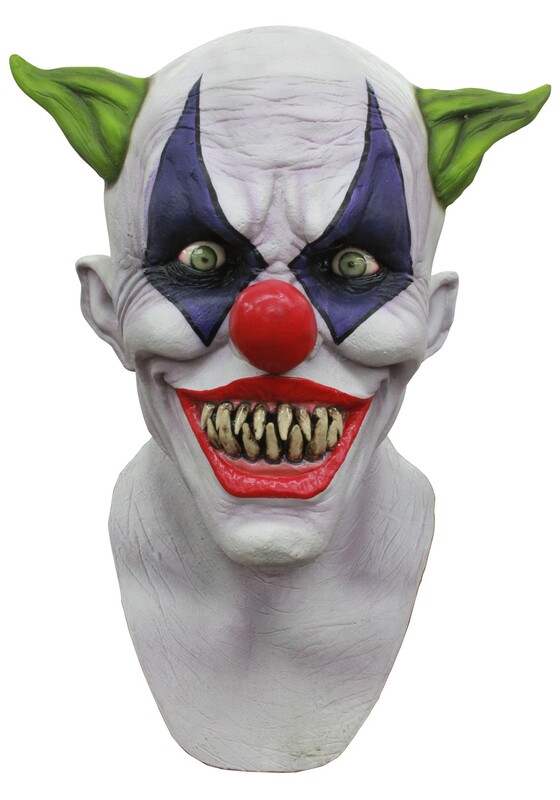 Luckily, having this talented entertainer at your disposal is as easy as bringing home this Adult Creepy Giggles Clown Mask! Highly detailed and unsettlingly lifelike, this clown is what they refer to as "nightmare fuel" on the internet. Because he's not like that non-scary, classic clown that unfairly gets a bad rap from coulrophobics. Nope, Giggles is everyone's greatest fear... a clown with truly evil intentions. So bring a real scare to your Halloween this year with the Adult Creepy Giggles Clown Mask!